What is this conundrum we as a society seek to model ourselves after? From the “American Idol” to “America’s Next Top Model,” how can we continuously judge who has the X-factor and who does not? The truth of the matter is, we all have it. Miraculously beautiful are you that was blessed with chocolate or vanilla complexion, a curly or straight mane and a body that is courageously curvaceous or a sassy size two…it does not matter. The most astounding masterpiece we can ever hope to create is the one sketched within your heart, waiting to be filled in by the most vibrant colors that your environment can provide. 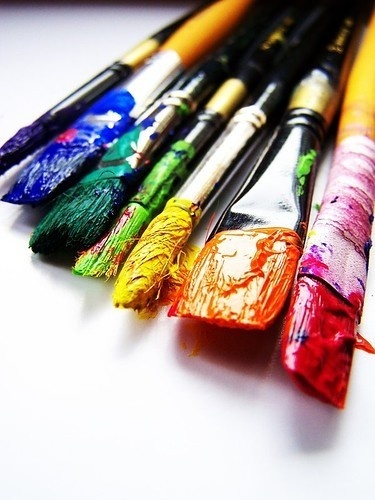 From your family, to your friends, to your most precious sources of inspiration…each paint a moment, a part of who you are as a person. Perfection is not made up of what brand of clothing you wear, car you drive or how many followers you have on Twitter…it’s about personification of self and the admiration of the soul, first. There exists no one, true definition of “perfection” because it is encompassed by many different facets, faces, personalities, people and strengths as well as weaknesses. Do not seek it in the media, but meditate. Do not try to discover it, but rather go on a journey of self-discovery. Ultimately, you will find everything you are looking for when you look inside of Y.O.U. There is no dictionary…take the colors and create your own definitions. Don’t be afraid to mix and match; making unique shades or hues that the world has never seen before. Believe in traveling the unchartered territory, don’t be afraid to color outside of the lines…paint your own perfection. Abused and abandoned…sometimes we think beyond repair. As you recall the memories of the secrets being hidden and the lies being whispered, it all comes to a grand finale. A conclusion lacking of a “happily ever after,” you wonder why. Why do they hurt the one they say they love? The truth of the matter is, there are holes…holes present in their heads and even larger ones in their hearts. They neglect to remember all of the times you created their crescent-shaped lips in the form of a bright smile, stood by their side when there was nothing to their name to overflowing with joy when they finally became something. Why can’t they remember when you comforted their cry and caught every teardrop? Like a shadow you were there until the very end, believing they would cherish you forever. The hole becomes deeper, creating an abyss of eternal selfishness- there is no space in their heart for you because the hole takes its place. Today, I say to you, however, walk away from all of the holes you may possibly fall into. Turn in the other direction away from their darkness and into the light. Do not be afraid to leave a liar and do not be afraid to stay true to what you know you deserve. All hope is never lost because there will always be forgiveness for you because you chose to do what might have been one of the hardest things you have ever done in your life. You have given your all, remained truthful and gave them grace, even when none was given to you. Stay in hope that you are complete without the screwing of your soul. Hope is never lost, it will always find its way back home-back to you in the form of a simplistic, humble and beautiful renewal…Loving you, for who you truly are. Just as in the dead of winter, only bare branches can be seen with the naked eye. 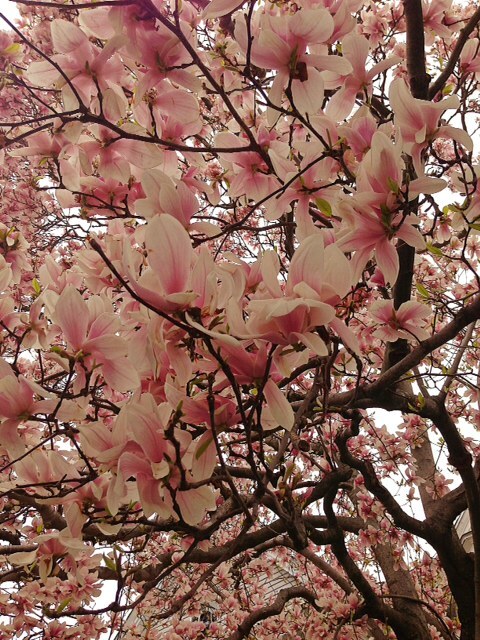 However dormant beneath their resting barks wait seeds of greatness, ready to sprout come Spring’s full glorious bloom. Often times it is hard to find solid sources of great inspiration. However, in a world so filled with amazing cultures, personalities, theories and core beliefs; sometimes all we need to discover that source of enlightenment is to walk down the street. Feeling every vibration in the form of new conversation, ultimately it is the people living their everyday lives that may appease to all of our external stimuli in a harmonious balance, providing that amazing source of inspiration we’ve been searching for. Look all around you and grow everyday from each new experience. No, we weren’t created to be like everyone else…hiding behind the facade of “beauty.” No, we weren’t fascinated by celebrities nor looking to figure out who was dating who, but by what problems we could solve. How can we save a life? No, we weren’t into talking about what we were going to do, for we stepped outside into the world and did it. We were created to create, to innovate and to build legacies that would last for generations to come. No, not our faces to be seen but our voices to be heard. To be humble is our mightiest attribute, for our greatest sense of pride can only come from a child’s eyes when it shines with a glimmer of hope for their future, their belief in creating something the world has never seen before. No, we do not follow, we lead. No, we do not boast, but simply succeed…for it is not by our words but by our actions that speak of our true accomplishments. No, we are not like everyone else but the genetic mutations of generation X. We sought out more than just nine to five and the confines of walls…we fought for more, for the world. Discovering uncharted territory, we made leaps and bounds, destroyed the status quo and yes, we are here to break the mold. 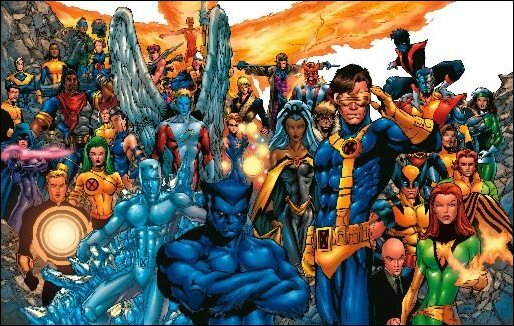 The X-men weren’t just fictional characters in a comic book, they symbolized the greatness of being unique and the boldness to make an impact and ultimately revolutionized the sentiment that there is power in being different. I love how relaxed these birds are…Just shooting the breeze.